Previously known as Zenit, Cembrit Solid is produced thanks to a unique combination of a through colour base board and a 100% opaque, water-based acrylic paint coating. Cembrit Solid fibre cement panels are resistant to green moss algae, water stains and dirt, this is thanks to elements in the paint coating. Each Solid panel is finished with a 100% opaque water based acrylic paint giving each panel a smooth, uniform surface which reduces the visibility of scratches. All Solid panels are intensely pigmented to ensure the 16 standard colours available in the range are strong and long lasting. Panels are not only available in the standard colour options, over 2,000 NCS colours are on offer for you to choose from – dependent on quantity and lead time. Each panel will feature the chosen colour on every surface and edge, including cut-outs or drilled holes, which means the panels will not need to be painted. We are the only fabricator that offers a cutting service to the trade and public. Want to find out more? 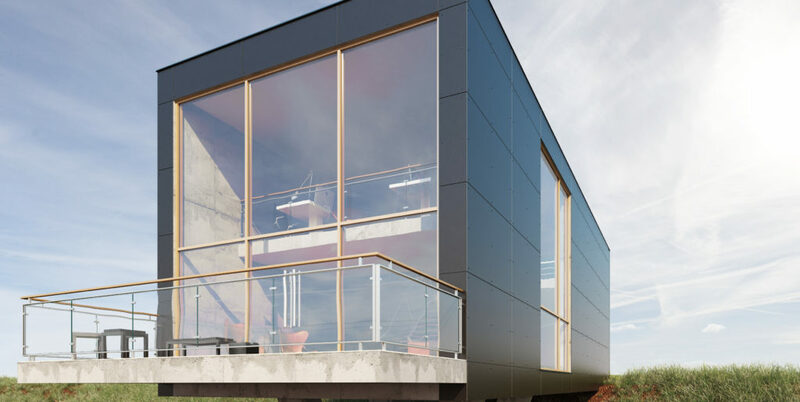 BBS Facades is one of the UK’s main distributors of high performance external cladding, building boards and all associated fixings, framing systems and component accessories. © BBS Facades Ltd. All rights reserved. Phone: 01242 222 600. Building Board Specialists Ltd, Units 1 & 2, The Runnings, Cheltenham, GL51 9NJ.